Oop oop. Good times readers. 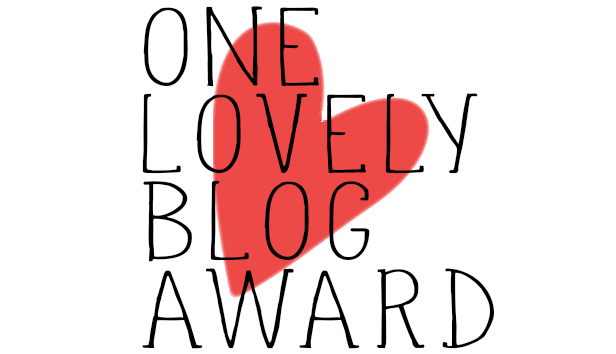 I’ve been nominated or tagged twice in the same day yesterday by the lovely Alice from Toast for Tea for the One Lovely Blog Award and by Charline from Charline Has A Blog, another Belgian blogger from Limburg (English reunites the people of Belgium I’m telling you haha), for the Versatile Blogger Award. Both awards consist of the same thing. What on earth is this, you’re wondering? We are nominated to share 7 facts about ourselves, then nominate bloggers we follow regularly or that we just have discovered and let them know we’ve nominated them. As I am writing this, right now, I am listening the first album of Britney Spears. 1999, people. I was still in primary school and I got the album as a gift from my Dad as a reward for being so brave wearing my braces. I heard I was born to make you happy yesterday on the radio, I was so excited I had to listen to it again. I am totally addicted to home design blogs. I was a huge fan of Young House Love, I eagerly waited their daily post at 4pm, eve-ry-day. In March 2013, I bought my first smartphone, an old Iphone 4 that was reconditioned. Last Autumn, a group of 16 years old freaks stole my Iphone right when I was using it in the train. A week later another idiot called to say he had “found” it and was willing to return it. The phone was blocked (hurrah Apple!!) so he couldn’t use it without my Itunes password. When my bf (hurrah Mathias!!!) arrived to the meeting with the police, the guy admitted he had bought it from a stranger who, he thought, probably needed the money to use drugs in a train station. He got arrested, I got my reconditioned-stolen-resold-for-80€ phone back. I’m still calling people with it today. It’s kind of a phone survivor. Before starting training for the Brussels 20KM, I already completed a 12KM race in Namur two years ago. I’m not a complete beginner haha. I spent a year (minus two weeks) in Australia after high school as an exchange student. Best and not so best times of my life. I still think about it on a weekly basis. My favourite app is Instagram. I love scrolling endlessly and have a peek into people’s fake or real lives. I’m a stalker. I totally am into minimalism. It’s an everyday challenge, a journey that helps me enjoy life by limiting the impact of material things. I appreciate the experiences better and those are really the only things that I want in my life instead. I love a good decluttering session but really, it’s more about consciousness. Don’t feel obligated to participate, I just thought it was a cute way to know each other on the blogosphere! Thanks again Alice and Charline!